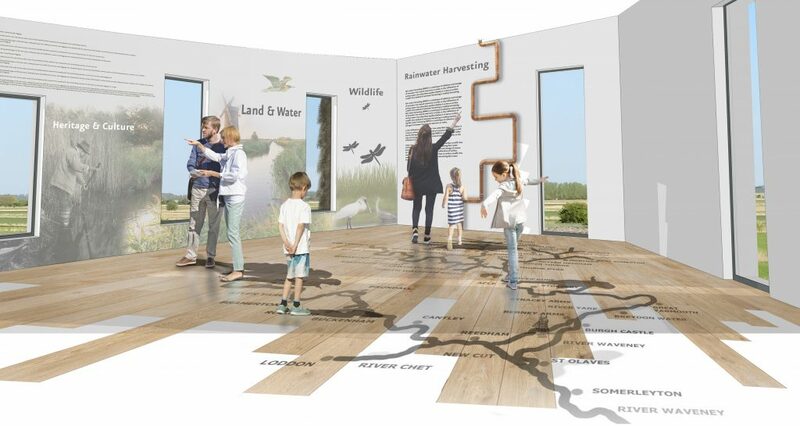 PRP entered the competition run by the Broads Authority in conjunction with the Architect’s Journal, to design a new landmark visitor and education centre to promote innovation and modern high-quality design for its Acle Bridge site. 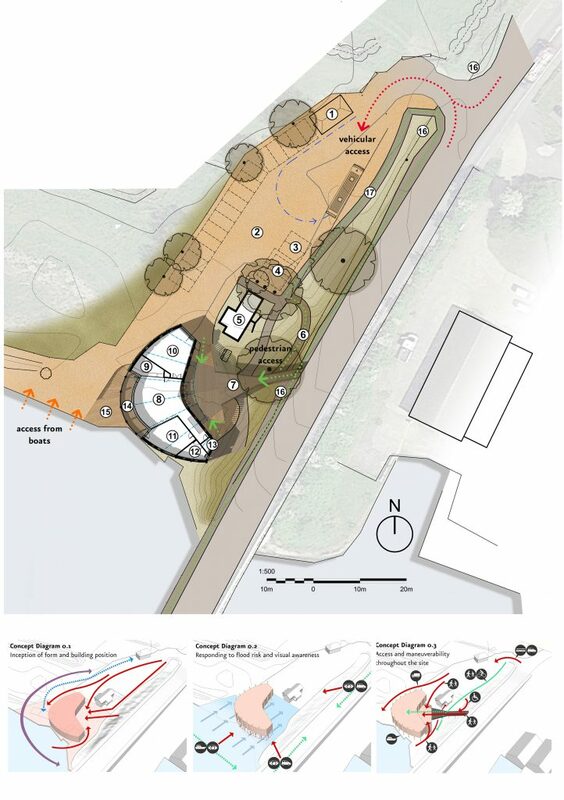 The clients vision was to accommodate for facilities aimed at visitors, boaters, local residents and school children alike, whilst engaging the public in the big issues; the importance of managing water, climate change, sea level rise and the need for sustainability. The project has created a massive and enthusiastic response from our project architects and design team who are local and know the Broads well. 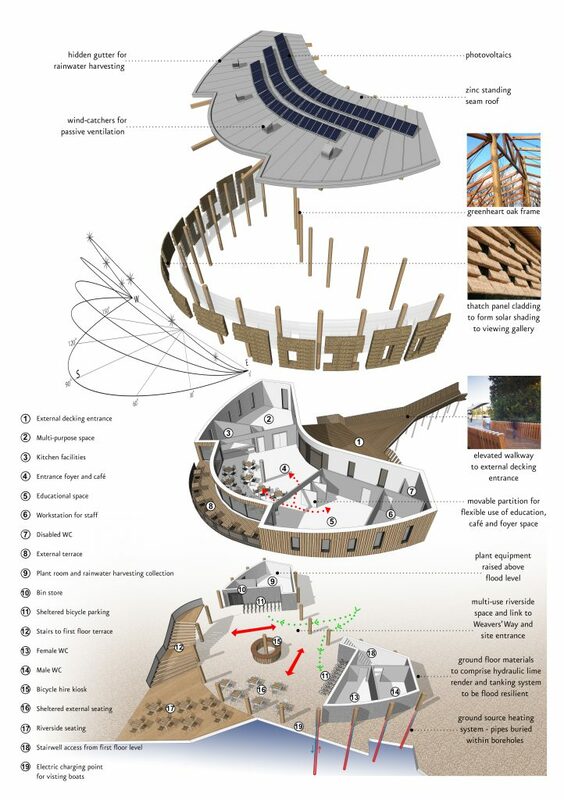 Our proposal is contemporary with an understated palette based on a timber frame structure to enable the visitor to appreciate traditional materials and innovative forms alongside river craft activity, marshland trade and the visual relationship with the horizontal canvas.